Everyone knows cats rule the internet. 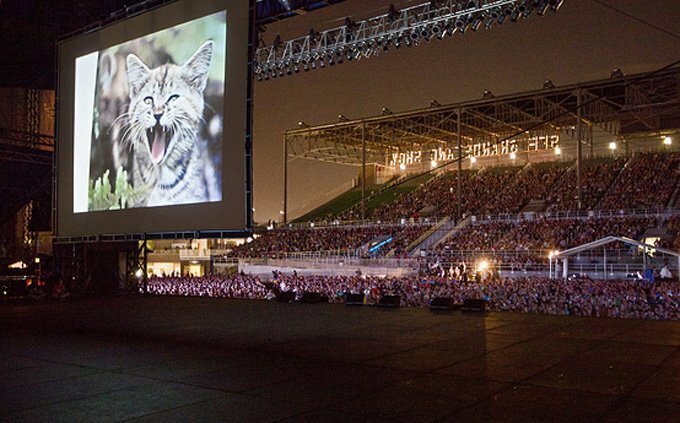 So when CHS Field in St. Paul, Minnesota held the fourth annual Internet Cat Video Festival, it’s no surprise that more than 13,000 fans showed up, spreading picnic blankets over the infield to watch cat videos on the giant scoreboard and laugh with fellow feline enthusiasts. The event featured cat face painting, giant cat mascots, and lessons in catlike yoga poses. Attendees showed up with cat ears, cat shirts, and anything they could to show that they had cat fever. The show started with a ceremonial tossing of a ball of yarn and a dedication to Cecil the lion, who was killed by a trophy hunter in July. The big screen made it clear that the golden cat statuette awarded to the best cat video of the year is what a real trophy looks like. With that, the cat videos started rolling. A selection of the past year’s best cat videos played. 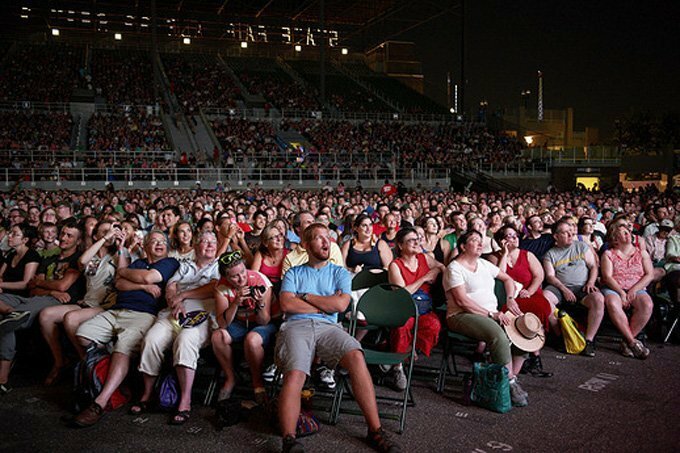 For many of the fans, it was a rundown of old favorites, but with a new audience to laugh alongside them. Cat lovers were glad to finally have a place to gather, much like dog owners get to do at dog parks. This year’s winner of the golden cat was a video called “Cat Behavior Finally Explained,” by Alana Grelyak and Michael Gabriele, the team behind the Cat CATastrophe series. Don’t be surprised to see us in full whiskers and ears at next year’s festival.